Need a place to get away? Or perhaps a place to get the kids away? The Cacoon is exactly as it sounds – a private place to call your own. 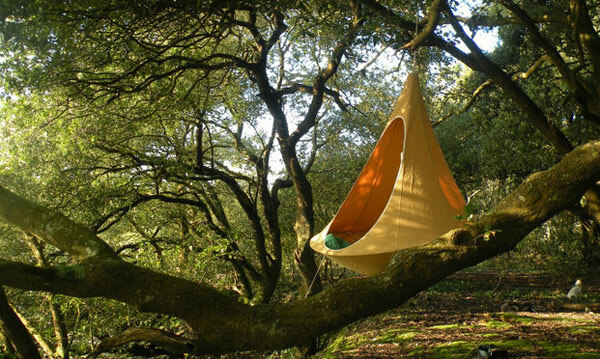 These cool hanging tents are made by Hang-in-out, whose slogan is “hanging havens for grown-ups and growing up”. Could not have put it better myself. 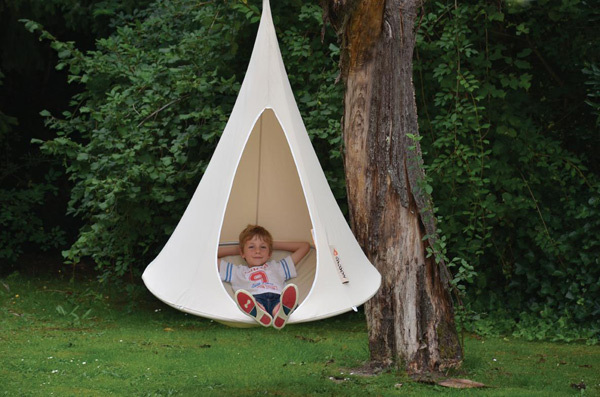 Use it as a hammock, a hanging garden seat or just a place to have fun indoors or out. People have used them on their boats, in their backyards or as a secret spot indoors. Even day spas have used them as a space for clients to chill out. Interestingly, the weaver bird was the inspiration behind these funky hanging hidey-holes. Makers Nick and Sarah were in Mexico when they saw a colony of weaver birds making tiny woven, hanging nests. Now the couple make similar nests for humans, giving them a place to relax in private or to cuddle up with another. Cacoons are built with durable sail cloth technology, but they are only designed for gentle play – so don’t jump in them! Cacoon fabric is anti-mould and treated for UV and water resistance. They come in either single (1.5m diameter X 1.5m height) or double (1.8m X 1.5m) size in either off-white or leaf green. Hang-in-out also take orders for customised Cacoons, accommodating for different colours, logos and brands. 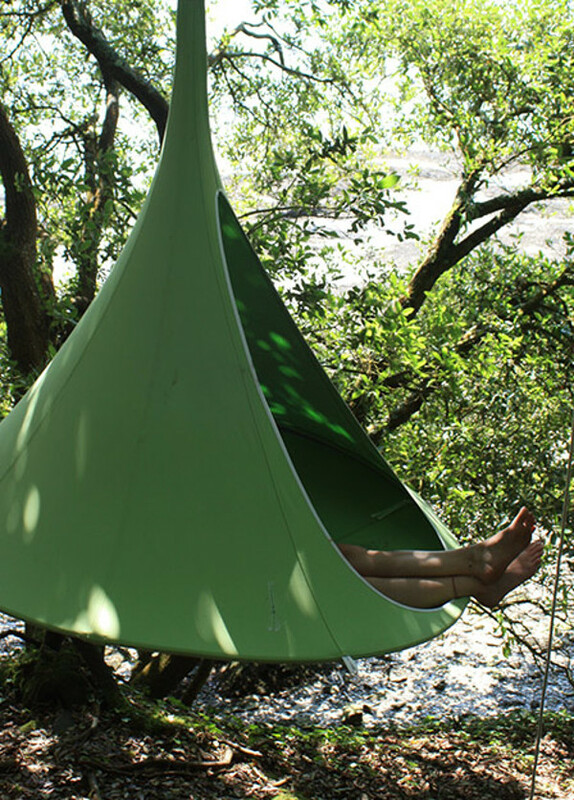 The single cacoon needs an ideal hanging space of 2.7m with a floorspace of 2.25m, while the double needs 2.8m hanging space and 2.55m in floorspace. 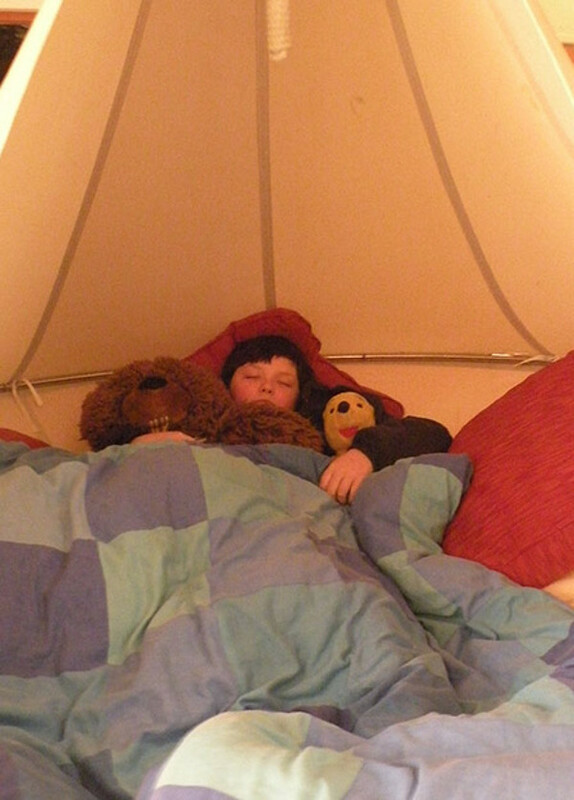 The single cacoon costs $411 while the double cacoon comes in at $594. Hang-in-out ship to the UK, Canada, the US and parts of Europe. Hopefully Australia is next on their list!